Can moving montane plants higher help ecosystems adapt to climate change? This project aims to determine how the survival and growth of native Hawaiian montane plant species are affected by the precipitation patterns at a range of planting locations. 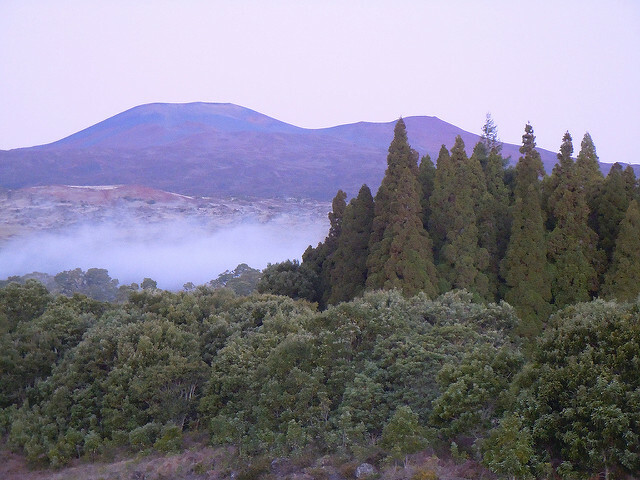 By relocating the plants to potentially more favorable climates at higher elevations and monitoring growth, survival, and vigor over a two-year period, this project evaluates a potential restoration strategy for mountain parklands of Mauna Kea on the island of Hawai‘i.